Cardiff Sinfonietta launches Cardiff International Academy of Conducting this summer with an intensive three-day masterclass with an internationally renowned conducting professor. After careful selection, a total of eight students from around the world have been selected to take part in the first course, taking place on 31 August – 2 September 2017, which will give them each a chance to conduct the Cardiff based professional orchestra, Cardiff Sinfonietta, in concert. 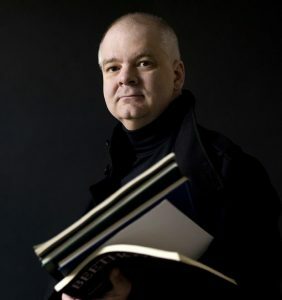 The first of three intensive courses this year, the masterclass weekend will be led by Professor Mark Stringer, who gained international acclaim for his conducting of orchestras and opera companies in the UK, USA, Europe and Asia. He currently holds the position of Professor of Orchestra Conducting at the University of Music and Performing Arts in Vienna, and is a highly sought after conducting pedagogue. “Cardiff Sinfonietta was initially formed by young Welsh musicians and has since continued to grow and provide opportunities for young professional musicians in Wales to perform the mainstream orchestral repertoire and work with world class soloists. The Cardiff International Academy of Conducting has been set up to focus on providing opportunities for conductors to develop their craft. The course will culminate in each student conductor having a chance to conduct Cardiff Sinfonietta from the podium in a public concert performance of Haydn Symphony no. 52 and Beethoven, Symphony no.4. The concert will take place at 7:30pm on 2 September 2017, at The Church of St Andrew and St Teilo, Woodville Road. Tickets can be purchased on the door for £5. Observers are welcome to attend the Masterclasses, which will include a question and answer session with Mark Stringer. More information about this can be found on the academy website www.cardiffiaconducting.com. A further two intensive masterclass weekends will take place over the following year, with Colin Metters, Professor Emeritus of Conducting at the Royal Academy of Music, in January 2018, and Dutch conductor Jac Van Steen in June 2018.